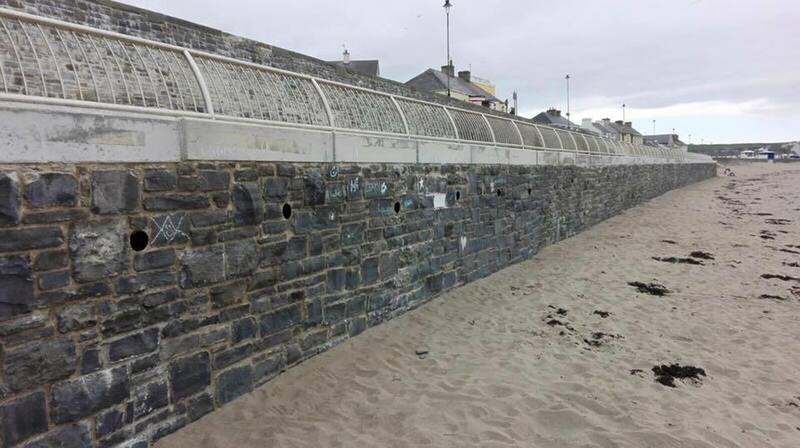 Walls constructed using precast L-section panels are a versatile and sustainable solution with many applications in the public, residential and commercial sectors. Installation is quick and largely independent of weather constraints. Managing changes in ground level in commercial and residential construction projects. The use of precast wall sections is of particular value when constraints of time, access and cost preclude the use of more time-consuming techniques. With suitable sealants, the management of wet products, and flood and landslide prevention. The construction of bulk storage bays for building and industrial materials, recycled waste, and agricultural supplies and products. Bays can be quickly constructed in and shape and size. Ground levelling for sports and recreational facilities. Our panels are cast in high-quality l moulds in a range of sizes, making them adaptable to large and small projects. The maximum wall height which can be achieved using these sections is 3.8 metres, with a standard width of 1.2 metres. Openings can be cast into the sections to allow for pipes and ducts where necessary. 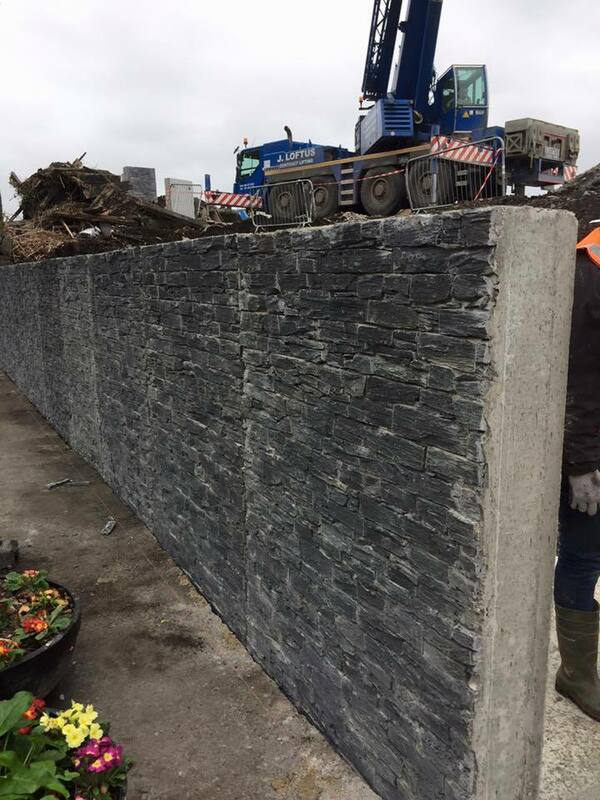 An engineer’s approval is needed for a retaining wall’s foundations and the stability of the soil, after which erection of the wall itself is quick and straightforward, as the panels fit together with a simple tongue-and-groove system. A small non-specialist workforce and basic plant are required for excavation, construction and backfill. After a minimal pause to allow for ground settling, other trades can be employed on site. The process is predictable in terms of time and cost. 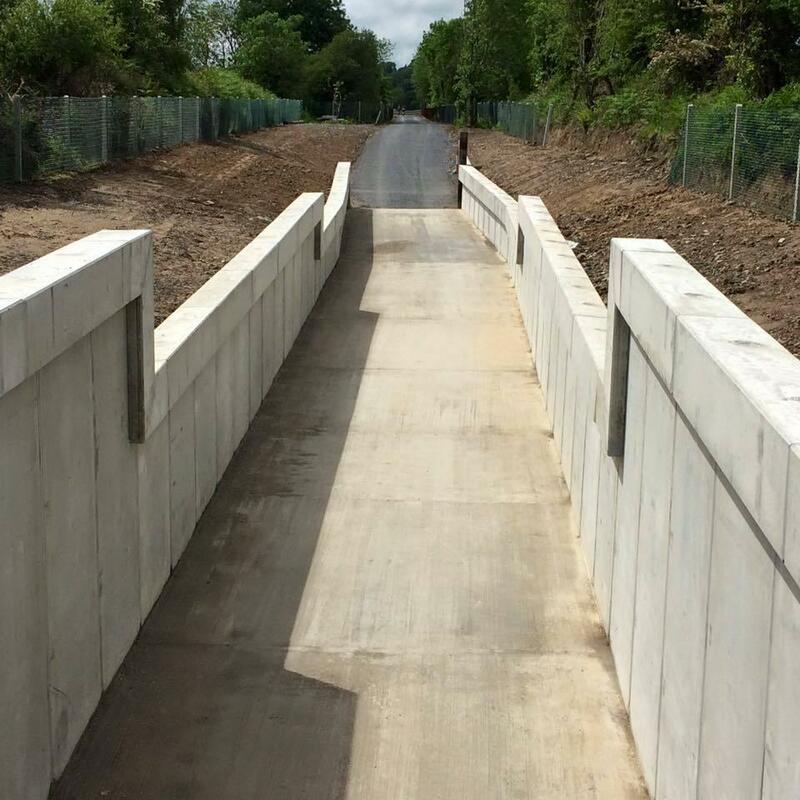 We manufacture a range of precast concrete retaining wall sections, which we can supply to any location in Ireland and the United Kingdom. 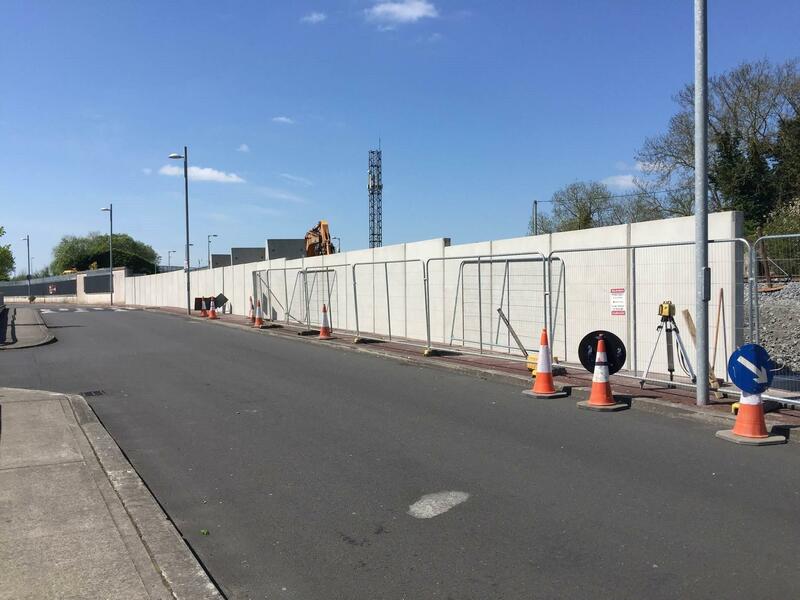 Contact us to discuss your requirements and find out how our precast wall panels can provide a cost-effective solution for your project. Contact us by email, sales@croomconcrete.co.uk, call us on 073 985 34484 or fill in our contact form.